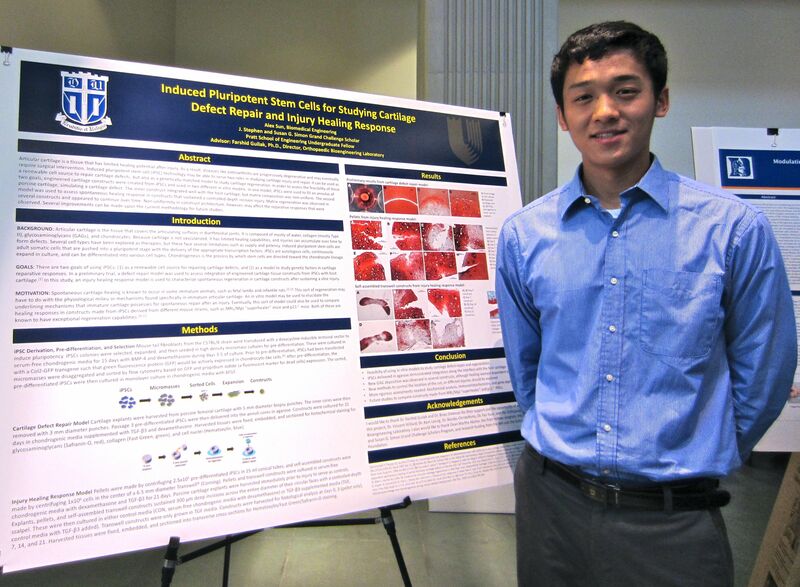 Pratt senior Alex Sun hopes to be able to repair cartilage using stem cells. The study Sun has been working on in Dr. Farshid Guilak’s laboratory has found that engineered cartilage constructed from a particular type of stem cell integrate well with host cartilage, but not necessarily in a uniform way. Sun was one of about thirty biomedical engineering students who presented at the department’s graduation with distinction reception on April 26. 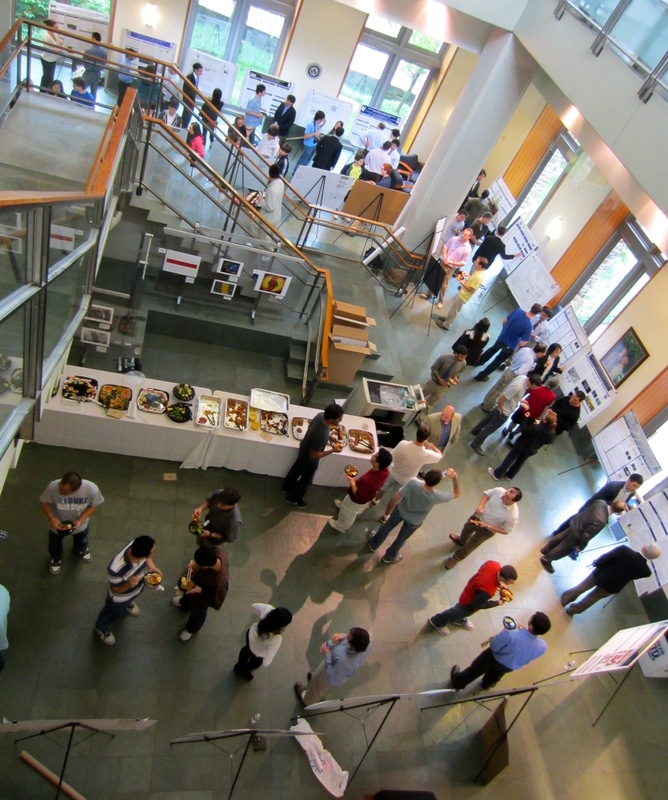 Other students have been working on exciting projects in optic imaging of tumors, synthetic biology, and deep brain stimulation, among other topics. Sun’s project focused on how induced pluripotent stem cells can be used to study cartilage regeneration and repair. Sun said articular cartilage has limited healing potential and contributes to progressively degenerative diseases like osteoarthritis. The best treatments now require major surgery and total joint replacement. But spontaneous cartilage healing does happen in some animals, like fetal lambs and infantile rats. Better understanding these mechanisms for spontaneous repair could allow for their eventual integration into therapy. Like many of the seniors graduating from BME with distinction, Sun’s research career has just begun. After graduation, he will be headed to the Netherlands to work on a tissue engineering project sponsored by the Whitaker International Fellowship. Genome Institute 2.0 is the "Interactome"